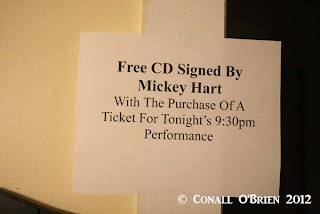 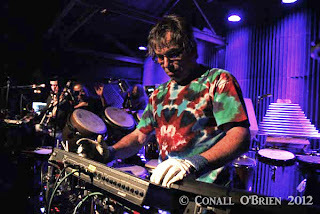 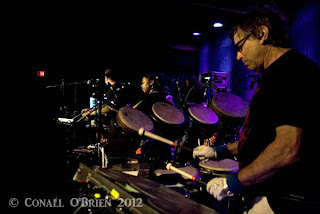 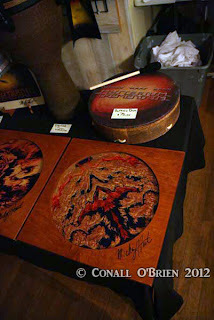 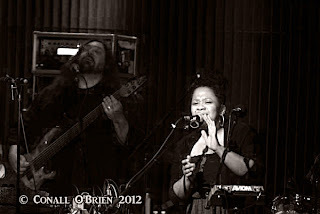 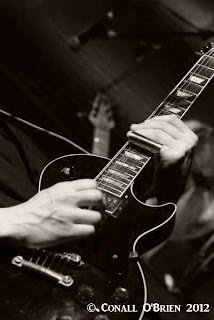 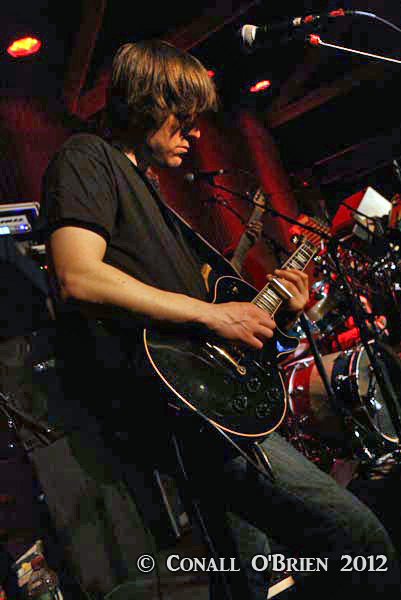 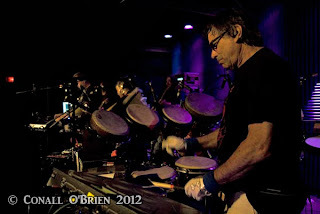 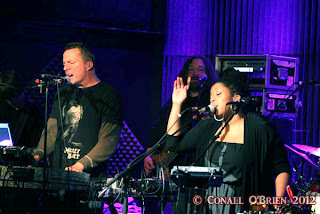 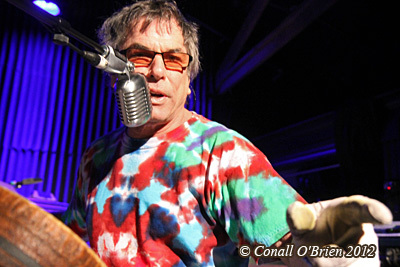 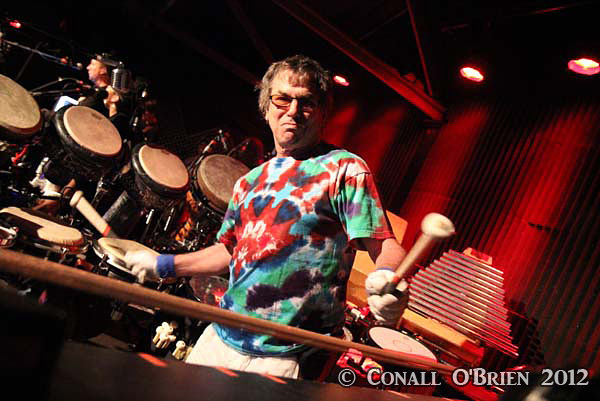 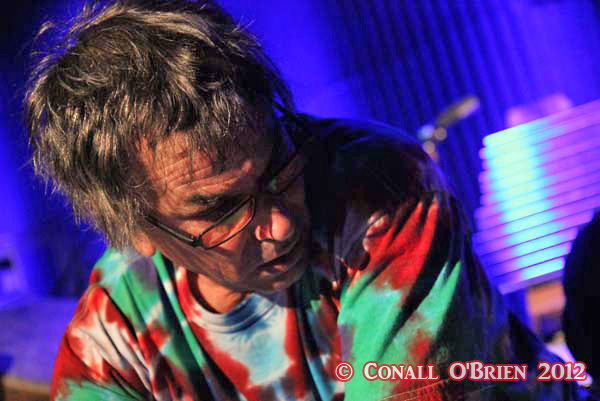 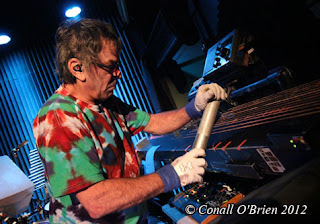 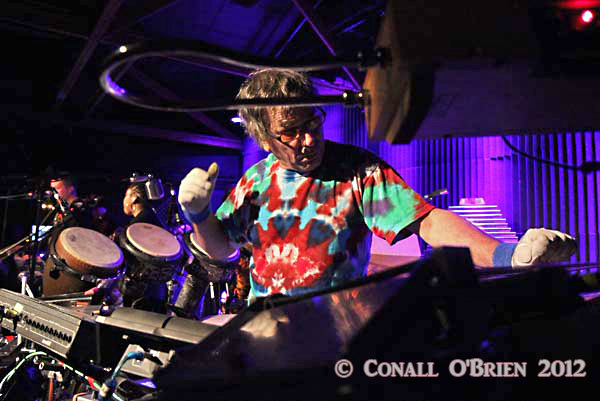 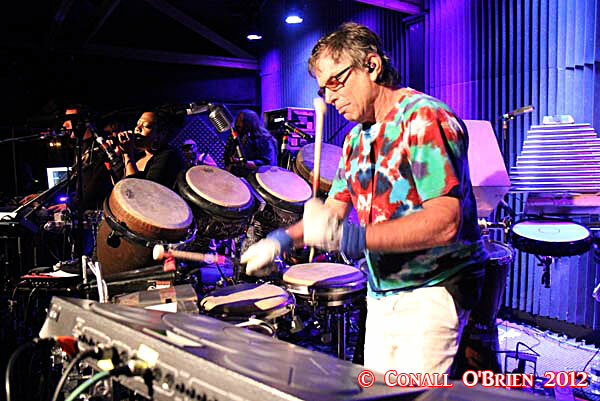 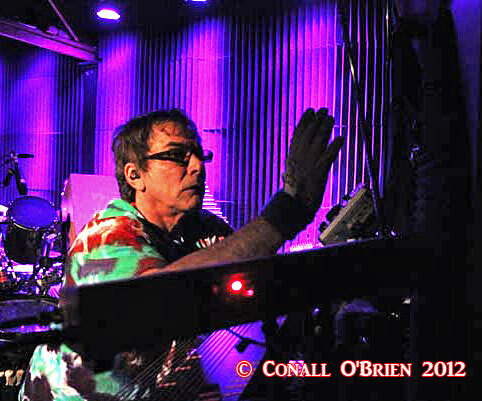 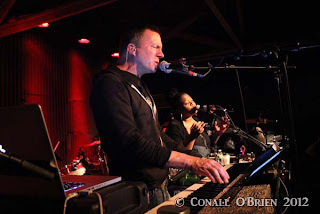 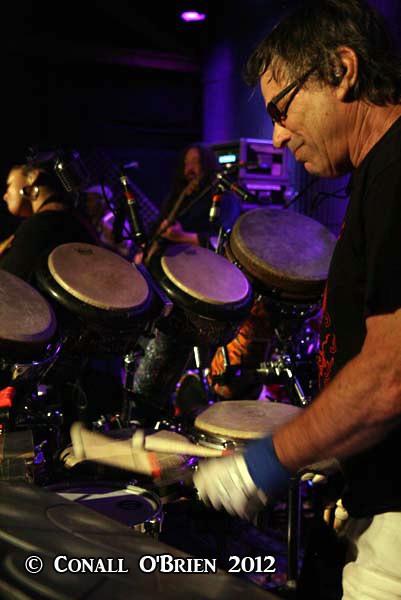 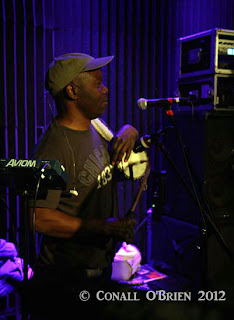 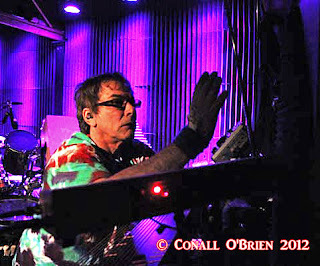 The Mickey Hart Band, performed TWO shows 14 April 2012 - 7:00 PM & 9:30 PM at Tupelo Music Hall - Londonderry, New Hampshire USA. 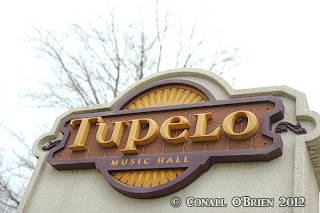 Tupelo Music Hall - If you look closely there are bee's nests inside the "P" and the "O". Could it be the EMF of this invented wooden sign has a beehive effect, harmonizing with vibrational lightwaves produced by Mickey Hart's latest project Mysterium Tremendum ? 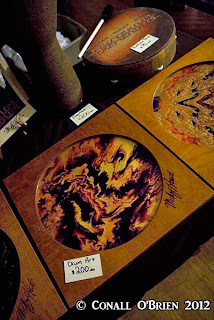 "Bees were venerated in prehistory and revered in ancient cultures far and wide, especially Egypt”. The power the bee hive has extended over mankind from cell to soul has been extraordinary". 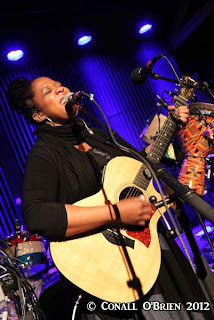 The new Mickey Hart Band lineup as had performed on April 14th 2012, consisted of Widespread Panic bassist Dave Schools, guitarist Gawain Matthews, Grammy winning percussionist and longtime bandmate Sikiru Adepoju, front vocalist Crystal Monee Hall, vocalist/kbds/trombonist Tim Hockenberry, and drummer Ian "Inx" Herma, while Ben Yonas worked behind the scenes outputting data from the "Random Access Musical Universe" (RAMU). 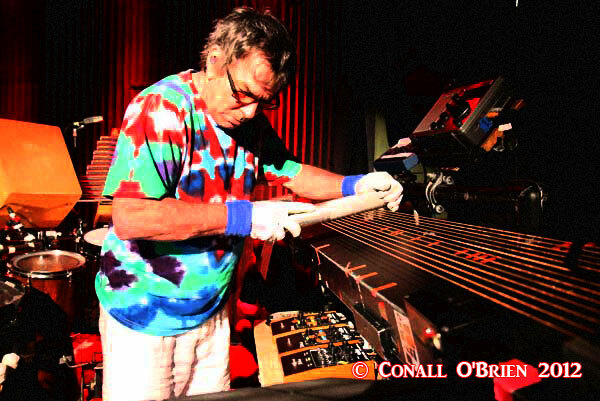 The Mickey Hart Band touring - Above the Clouds (2012), was assembled to perform music created by Mickey having collected cosmic sounds and radio waves radiating from deep space. Mickey calls it "Sonification", working with NASA and scientists at Lawrence Livermore, gathering light information from billions of years ago using radio telescopes from around the world and using computer algorithms converting light to audio vibrations. Visionary poet and longtime Grateful Dead lyricist Robert Hunter has also contributed lyrics to the new album Mysterium Tremendum. 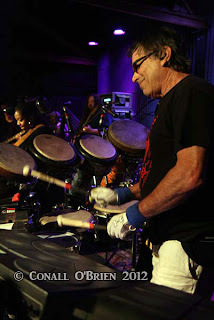 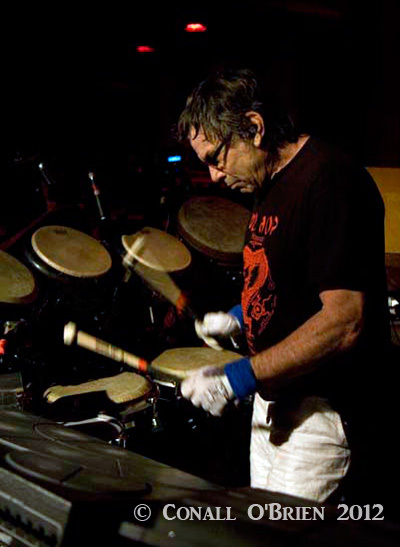 Mickey Hart receiving good vibrations in 2012. 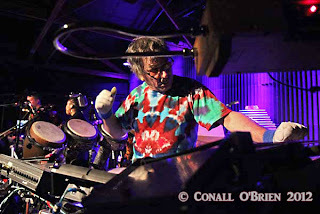 Mickey Hart drumming "Above the Clouds" Tour 2012. 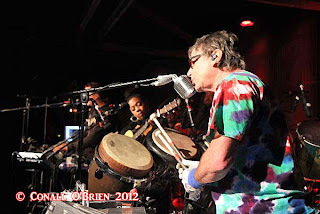 Mickey Hart Band (MHB) early show. Mickey Hart's Aluminum Beam strung w/ piano strings over a magnetic pickup. 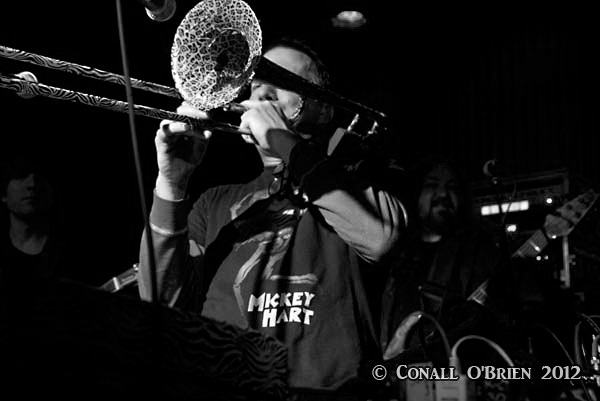 Mickey with a piece of pipe and the cosmic beam. 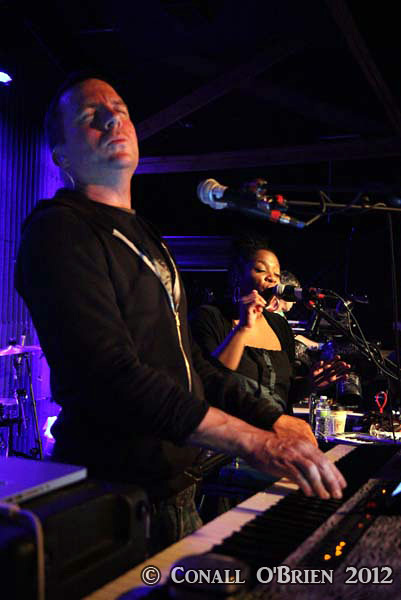 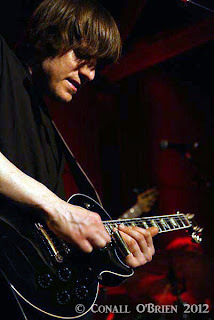 Tupelo Music Hall has extensive sound treatments, appearing pyramid shaped in the background of this image. 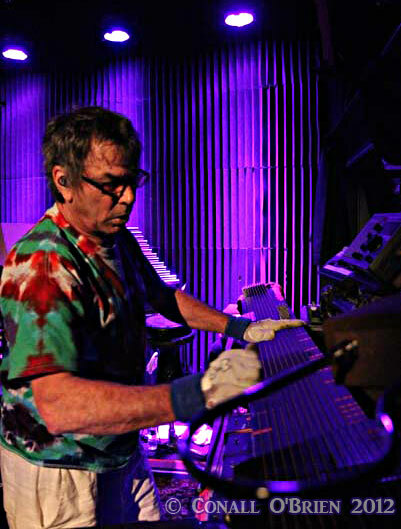 Mickey inducing effects of vibrational waves through proximity to EMF. Mickey Hart's cosmic beam on stage in Londonderry, NH. Mickey in what was then the now. 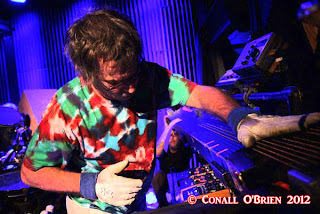 As seen from alongside edge of the infamous beam. 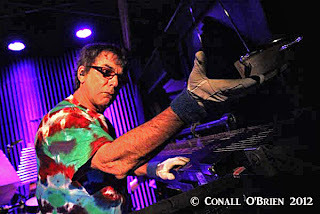 Mickey Hart reaching out/interacting with fans in Londonderry, NH.